Muddy Waters, born McKinley Morganfield on April 4, 1913, used his meager sharecropper wages to buy his first guitar when he was 17, and he taught himself to play. Today he is considered the father of modern Chicago blues, but his influence reaches far beyond that and into folk, jazz, country, and especially rock ‘n’ roll. 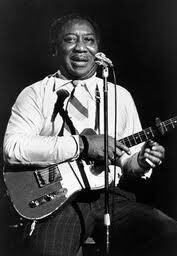 He helped Chuck Berry get his first recording contract.